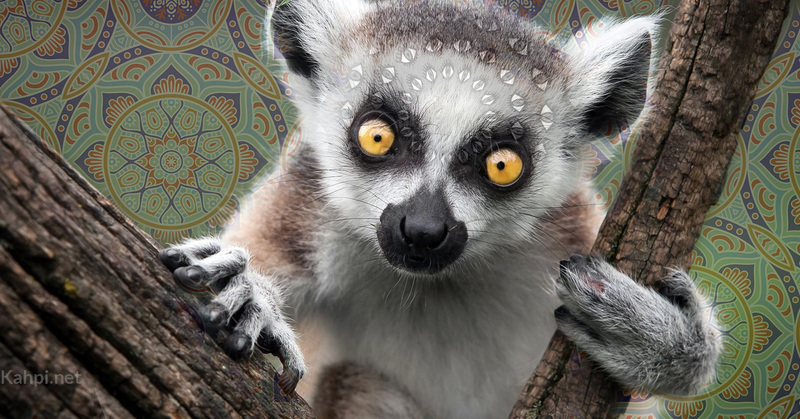 Many animals choose to repeatedly take psychedelic substances. Whether among deer, monkeys or moths, the animal impulse to "trip" is a curious phenomena that has spawned a variety of theories from the scientific community. When some people get high, they become animals. But I don’t mean this in a negative sense. One of the key reasons indigenous Amazonian shamans drink the psychedelic brew ayahuasca is to transform into a jaguar or anaconda. 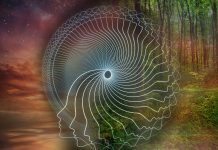 When consumed, substances like ayahuasca can have dramatic effects upon our senses, including upon proprioception. They can offer an experience of feeling like you genuinely become or inhabit the body of another species or object. Similar to how people might view mystics from radically foreign lands, the idea of animal consciousness brings an awe of potential that can push humans beyond their limits. In many Upper Amazonian indigenous societies, the word for “shaman” (ye’e, yaivi, paye) also means “jaguar”. The big cat is often recognized as the most powerful spiritual being. 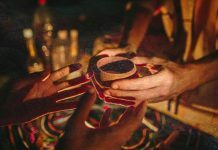 Amazonian shamans may cultivate this perceptual shapeshifting for many reasons, such as to try to heal a family member, decide where to go hunting, or find a lost object. And this type of animal shamanism is not necessarily isolated to the Amazon rainforest. Anthropology journals contain many reports from around the world of special animal powers being associated with consuming psychedelic substances. Animals also have a much more direct relationship to psychedelic substances. Dogs, jaguars, deer, monkeys, moths, and numerous other creatures, seem to enjoy voluntarily augmenting their consciousness with plants and fungi as much as we humans do. It’s not clear whether animals perceive themselves as humans under the influence of psychedelic substances! But if the universe is stranger than we can imagine, and if animals do perceptually shapeshift with psychedelics, then they would likely become other animals that are important to their umwelt or embodied environment. 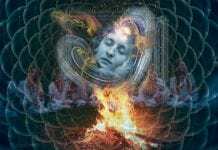 Some scientists believe animals and humans are biologically wired to seek psychedelic substances for the same reason. There are various theories about why some goats or dogs like to eat peyote buttons or why jaguars have been found chewing on ayahuasca vines. Some scientists believe animals and humans are biologically wired to seek psychedelic substances for the same reason. Evolutionary theorists suggest that small doses can boost the central nervous system and sharpen the senses in ways that offer an adaptive advantage for an individual (whether a human, deer, or moth) trying to survive in hostile environments. This idea is somewhat similar to Terence McKenna’s famous stoned ape theory about how we become human. Others put forward a less epic explanation and suggest that members of other species enjoy carnal and intoxicating pleasures just like we do. After all, animals have to keep themselves entertained when they’re not in fight or flight mode or busy reproducing. 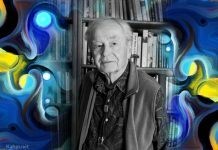 The wide occurrence of psychedelic use across human culture, past and present, is now an academic fact. Whether you like it or not, we are a “High Society”, as Mike Jay explains. There are many things that make humans special, but the prevalence of intoxication is not one of them. We share this planet with animals and are in debt to their High Kingdom. Humans discovered many important psychoactive substances—such as tea, iboga, coffee, fly agaric—after witnessing animals choosing to repeatedly eat the substances. One of the experts on this topic is Giorgio Samorini. 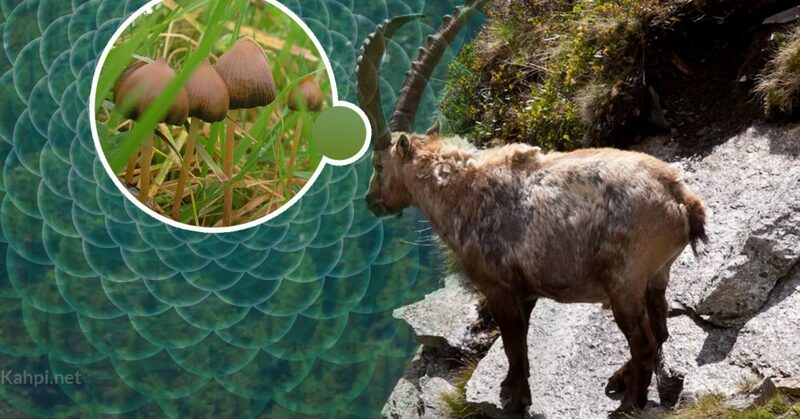 In his marvelous book Animals and Psychedelics: The Natural World and the Instinct to Alter Consciousness, he tells the story of getting attacked in the alpine meadows of Italy by greedy goats who were protecting a stash of psychedelic mushrooms. He was already aware of the goats’ appetite for the Psilocybe semilanceata mushroom and their uncanny ability to find it and munch it down. Under the influence, the psychedelic goats “exhibit overstimulated behavior, run about awkwardly, and shake their heads wildly back and forth”, Samorini explained. These creatures appear to value overstimulation so much that one of them head-butted Samorini when he was picking the mushrooms. The mushrooms were knocked out of his hands and then gobbled down by the ravenous four-legged creature. The ayahuasca vine is another psychedelic that has roused interest from the animal kingdom. People working for National Geographic filmed a jaguar in the Amazon rainforest chewing on the so-called “vine of souls”. 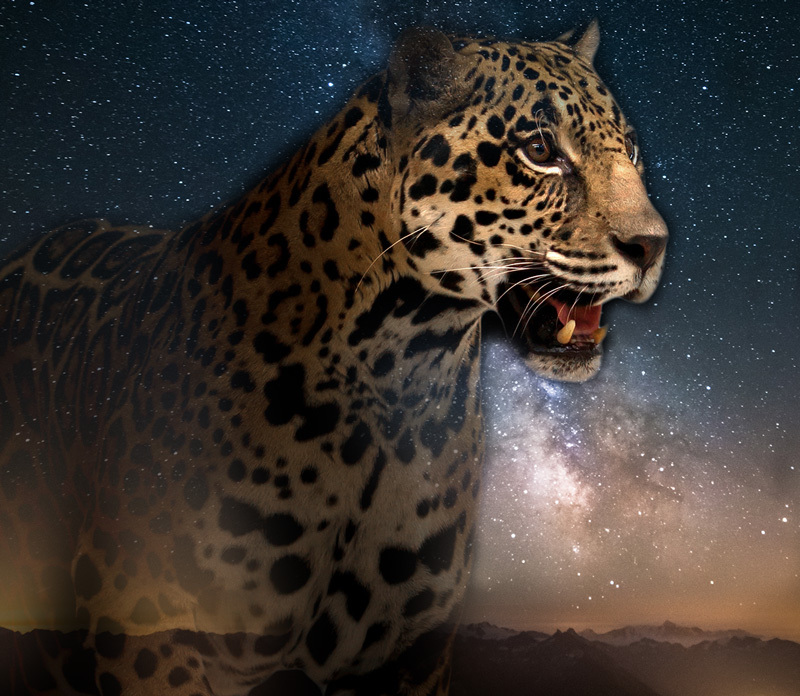 Eloy Rodriguez, a chemist at Cornell University, suggested that jaguars might do this for health reasons to cleans themselves, because ayahuasca “purges them of gut parasites… the alkaloids sabotage the nervous systems of parasitic worms”. This would make sense because the vine has been consumed across many indigenous Amazonian societies for purging individuals off “bad spirits” lodged in their bodies. But there is probably more to this story than the idea of a stomach cleanse. A classic case of animal psychedelia is the dangerous exchange between toad and dog. Domesticated canines across Queensland Australia are notorious for their ability to trap the invasive cane toad and lick just the right amount of poison off its back. Too much can be fatal and there are occasional deaths. Native Australian snakes and other wildlife often die from eating a whole toad. But some dogs carefully use their tongues to ingest what seems to be just the right amount, given that they return each day for the same trip. The active chemical in the toad venom is called bufotoxin. It has been used as a topic aphrodisiac in Chinese medicine, and seemingly for ritual use in Ancient Mesoamerica cultures. These days, Dobby the dog has decided the toad is a good way to spend the afternoon. Then there are the classic catnip adventurers. Cats are known for their chemical love story with the perennial herb called catnip, but only 50 to 70 percent of domesticated cats actually get high on the substance. They need to have a special gene that can allow the catnip alkaloid nepetalactone cycloalkane to have an effect on them. Interestingly, this chemical is very similar to the pheromones found in male cat urine, which could help explain the intoxicated behaviors on catnip. But catnip is not always a blissful fairy tale. See this short propaganda film about the dangers of “nip”. There is plenty of evidence of animals voluntarily and repeatedly consuming psychedelic substances. Whether it’s dolphins temporarily altering themselves with pufferfish, insects and birds flying strangely after consuming brugmansia, reindeer acting “berserk” after fly agaric mushrooms, mandrills or gorillas eating iboga root, or kangaroos in Australia chewing on cannabis leaves, animals actively seek out powerful pharmacological alterations. Taking mind-altering substances is a relatively common response to crisis. Humans seek and use inebriates for many reasons, and we often use drugs more during times of crisis. 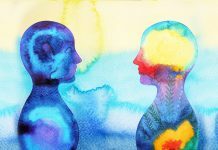 Whether as a balm for the pain, a stimulant to enhance performance, or a psychedelic to inspire decision making, taking mind-altering substances is a relatively common response to crisis. It is possible that the massive and intensifying disruption of the natural world by humans—think climate change, deforestation, industrial farming—is increasing the animal drive to seek pharmacological support. While some wild animals may frequently seek inebriation, there are also many cases of humans intentionally giving psychedelics to animals for different reasons. A classic case is indigenous people giving psychedelics to hunting dogs to enhance their abilities. A study published in the Journal of Ethnobiology, reports that at least 43 species of psychedelic plants have been used across the globe for boosting dog hunting practices. The Shuar, an indigenous people from Ecuador, include 19 different psychedelic plants in their repertoire for this purpose—including ayahuasca and four different types of brugmansia. In cultures around the world, hunting dogs often receive particularly good care. A Shuar woman, for example, may nurse a pup along with her own children. The Aguaruna wash their hunting dogs regularly and cover them with aromas that help hide their smell when hunting. But how exactly might mind-altering concoctions help improve their hunting abilities? Drawing upon neuropharmacological research on humans, the researchers hypothesized that psychedelics may improve dog hunting abilities by modulating “sensory gating”, which is to say by allowing the dogs to be more easily aware of sensory stimuli that is typically assessed as redundant and rendered invisible. In particular, they hypothesize the dogs’ smell abilities are modulated and improved. 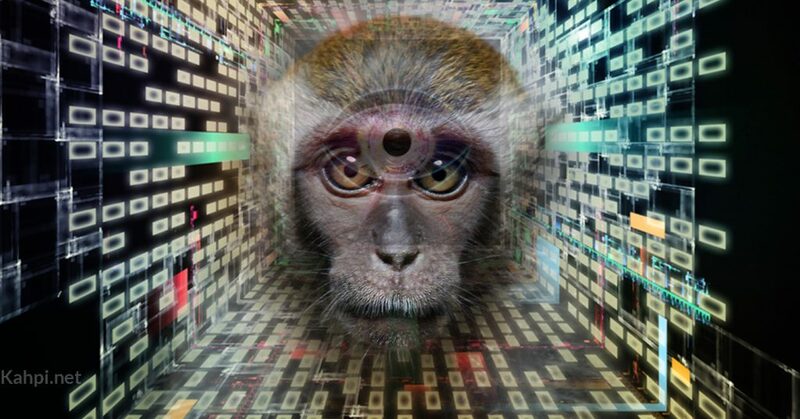 In an unethical experiment, scientists locked monkeys in a dark cage, alone, with nothing to do except for the option of smoking a DMT cigarette. 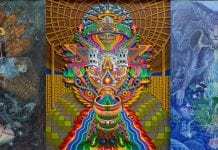 DMT, or dimethyltryptamine, is the psychedelic molecule found in ayahuasca brews and is often described as the holy grail of psychedelic consciousness by underground psychonauts. Three monkeys, each with different personalities, were caged alone for 20 days in this bizarre situation. It can be argued from an objective and scientific standpoint that humans and other animals are more alike than distinct – genetically and phylogenically, sharing a commonality of descent. Emerging scientific studies challenge the idea that animals (and plants) are mechanical-like automatons. They suggest we should approach them as individuals dwelling in environments that help shape but not determine a particular animal’s personal “desires” and “temperaments”—regardless of whether the animals exercise intention like humans do. Try living with a dog or cat and not seeing them as personalized beings with emotions and desires. 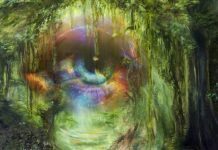 Looking deeper into the wide evidence of animals taking psychedelics can probably take the idea of animal consciousness to new heights. It can also help us think differently about our own human condition. “Why would it surprise us” that animals seek out psychedelic experiences, asks Rob Montgomery? Is it that such behavior would be unique to humans, a kind of hallmark of intelligence or consciousness? Is knowledge and premeditation a precious defining line between animal and human consciousness? Why would we care to draw a line? 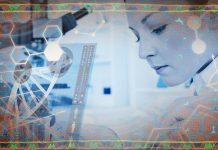 In studying the drug-seeking behaviors of animals we may find answers that explain parallel human behavior. Do animals pursue psychoactive drugs for the same reasons as we humans do? If animals, birds, and, yes, even insects avail themselves of inebriation, then we must see this as a natural impulse to take drugs to alter consciousness, and it exists in man as well. Perhaps, then, the problem of “problem drugs” is no problem after all. Here are some more videos of animals seemingly transforming their realities one or more doses at a time.